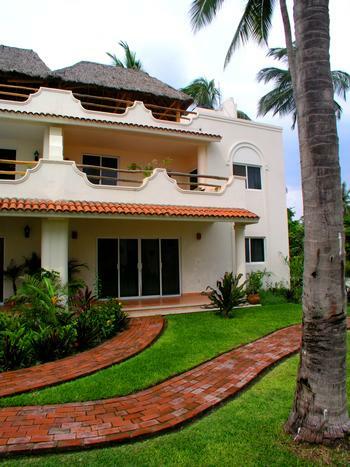 Casa Madrona is located in a beachfront property known as Villas de Playa consisting of eight houses sharing the gardens, the access to the beach and a luxurious swimming pool and jacuzzi shaded by built-in palm trees. This uncrowned part of the Bucerias beach is the perfect spot for watching breathtakingly, spectacular sunsets, almost every evening. 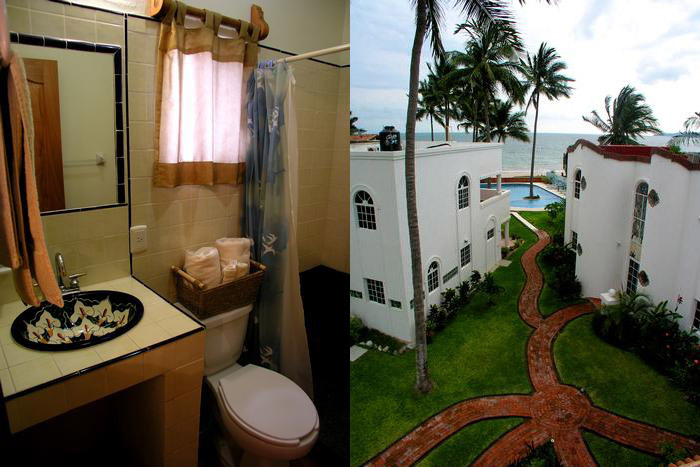 This 3 bedrooms, 3 baths duplex is a few metres from the white sandy beach of Bucerias, the pool and jacuzzi are literally only two steps away from the beach, in the second floor there is a balcony with partial ocean view and there is a rooftop terrace with partial ocean view too. 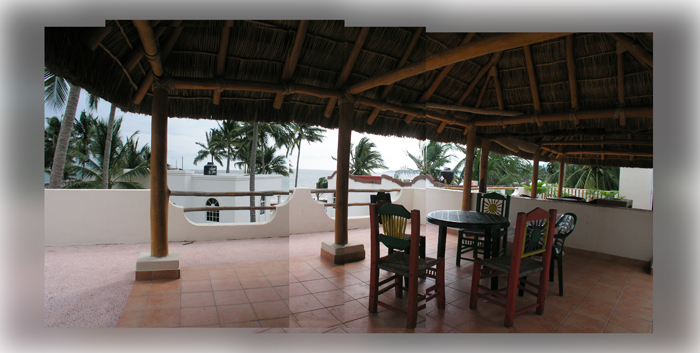 The bedrooms and the dining- living area are air conditioned. The kitchen is fully equipped. Maid service is provided three times per week. A full time gardener maintains the grass, walkways and flowers.